The open qualifiers for the upcoming Eleague Boston Major have been marred by a number of issues, including a sudden spree of cheating bans. 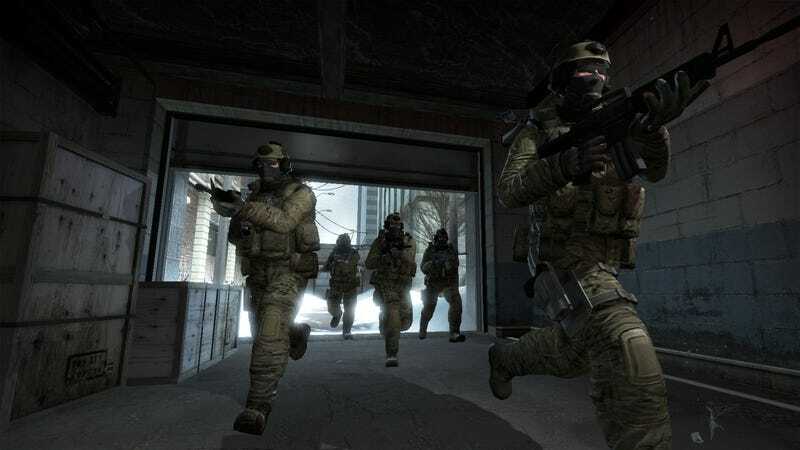 Several players have received bans mid-match for supposedly using cheating software to gain an edge on fellow competitors. In the below clip, you can see in the chat log as one player is banned for cheating, which sets off the three-man commentating team. In another, a team loses a player to a cheating ban mid-round, his name and avatar disappearing from the server. The team, Invictus Aquilas, is contesting that ban, though other clips have surfaced of questionable sprays. And in one case, a player tweeted that his team had to adjust their playstyle to deal with another who was allegedly using a hack that let him see through walls. The allegedly cheating player was later banned, mid-match. Though these qualifiers are for Eleague, a tournament organizer called CEVO is managing these matches, and they are taking much of the heat. On top of cheating issues, players are complaining about technical issues, lack of admin response, and poor seeding. At the moment, CEVO seems to be trying to keep up, but a good deal of the damage has already been done. For one last clip, here’s two teams from earlier, arguing with each other mid-game about cheating.